No one gets anywhere in a debate if too much information and too many points are made in the same post. I don't want to tell anyone how they should do this because I like information, but I personally want to take my time to focus on a deeper analysis of some of the claims from both sides on one aspect of this at a time. I accept your explanation, but one should be consistent with their argument. 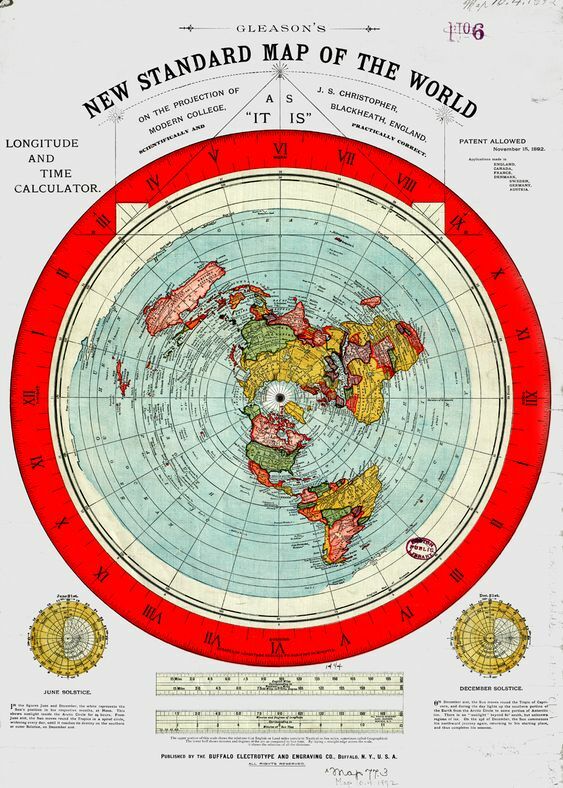 Can we agree that there is obviously no difference between flat earth and heliocentrism as to what we see and experience in terms of their being a calender movement of the sun through the seasons from the Tropic of Capricorn to the Tropic of Cancer. 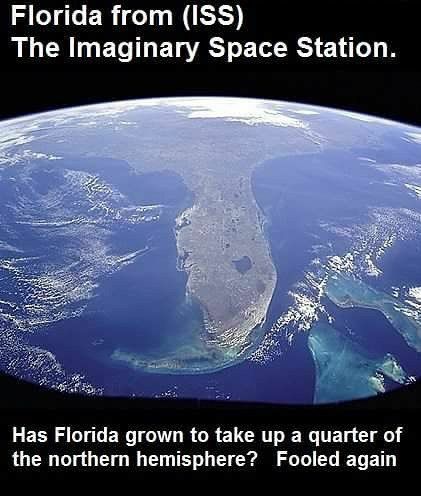 But the argument you are presenting is that there is a difference in the arc of the sun's path from spring to fall and only a globe tilted on its axis can account for what is actually seen as opposed to a flat earth. Let me know if I have this right. at the three different locations? 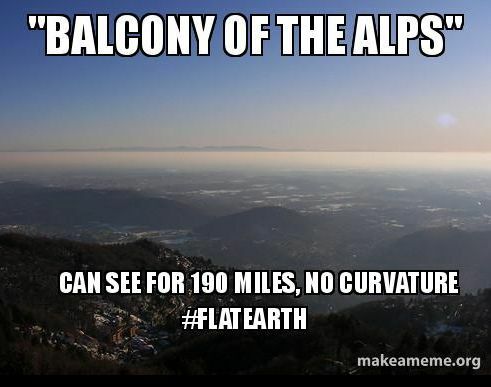 We can show the sun above the earth on the flat earth model but I cannot see the sun in relation to your arcs on your illustration. I'm going to see if I can find one. If you know of one please post it. I have flown from New York many times to see family and friends in Minnesota. My last trip I realized that the earth beneath me was not moving and the horizon did indeed rise to my eye level and it was straight and horizontal just as flat earth people were saying. There was absolutely no curvature of the earth to be seen. From the air you can see just how flat and stationary the earth is as far as you can see. If the earth from a plane appears flat and stationary for hundreds of miles, and if horizons in all directions are at eye level and are straight and not curved, and if at no time do we have a change in altitude over hundreds of miles then we have to conclude the whole earth is consistent with this reality and is not a globe. Our universal experience of flight contradicts a globed earth. Distance and the cost of fuel and flight paths do not change this experienced reality. I merely placed the sun on each line or arc to show its path across the sky as viewed from the earth in those three different locations. There is of course only one sun but there are three different perspectives from the planet because it is a spinning globe which is tilted on its axis of rotation. 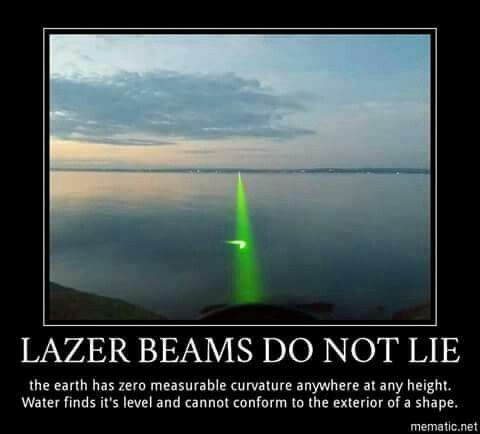 That is why what we witness the sun doing from on this planet, (what we witness the sun appearing to do), cannot be explained on a flat earth model. Those three lines in the diagram are actually parallel to each other because they are the two tropics and the equator on a spinning globe that is tilted on its axis of rotation. 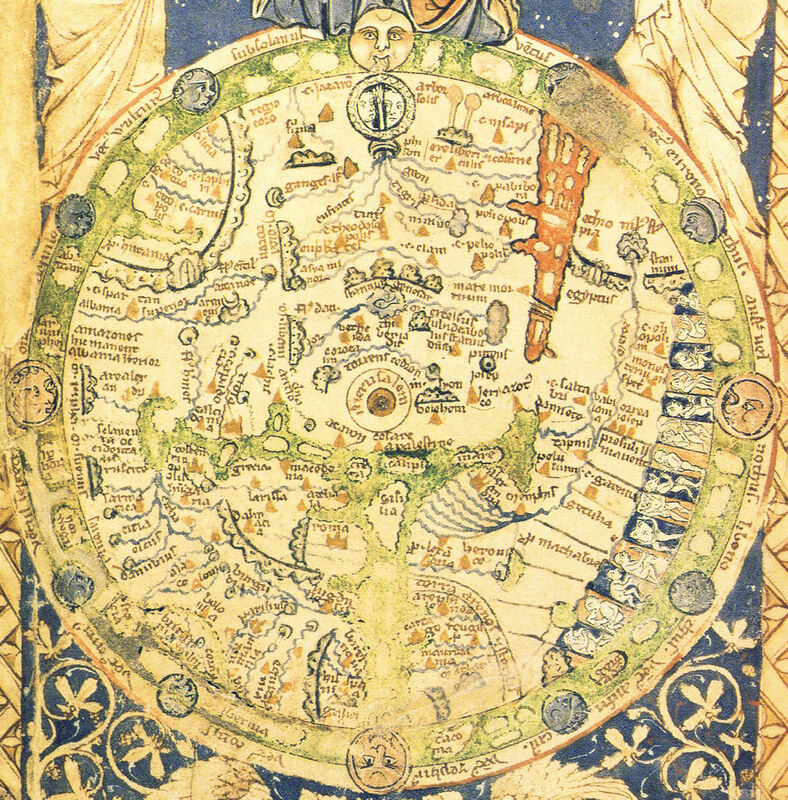 The diagram represents the perspective or view of the path of the sun from three different locations on a spinning globe. 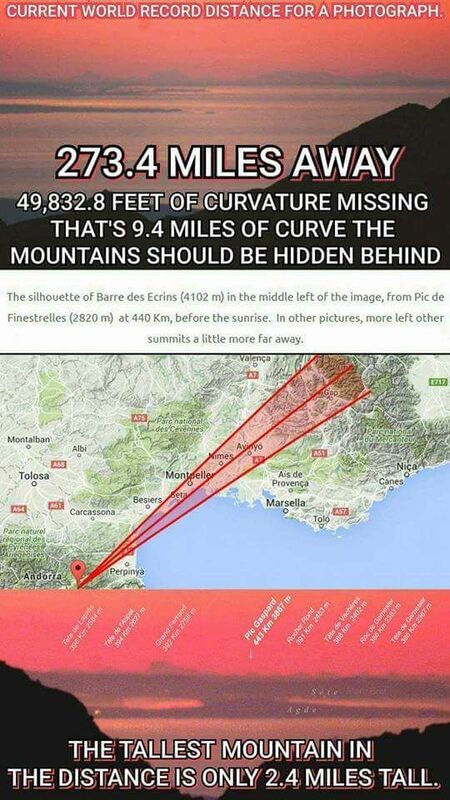 This cannot be true on a flat earth model: it is impossible unless you want to say we have two or three suns circling in different paths above a flat earth, (like I tried to explain to 1-M-1-S). The three different perspectives are due to the curvature, axial tilt, and rotation of the earth. I understand what your diagram is showing. But I still want to see the sun in relation to the earth that is the basis for your diagram. This diagram below is what I mean. The distance of the sun from the earth, and its size are very different from the flat earth vs the globe models. The distance between the tropics of Cancer and Capricorn is 3,235 miles. On the globe illustration below we see the tilt and tropic lines as the rays of the sun hit the globe earth. And another illustration of the basic flat map of the globe show that these lines are parallel. What you are saying is the arc of the path of the sun is different from flat earth vs globe model and only one can to true and that one is the globe model. Yes or no will do if i understand you properly. To prove this you are saying from the three different locations on the 1. Equator, 2. Tropic of Cancer, 3. Tropic of Capricorn on any given day we can actually see the arc is different and consistent with the globe model. The sun's location with respect to the stars doesn't depend on your observing location on earth, so you now know enough to figure out how the sun appears to move through the sky from other locations. If you travel east or west, you'll see the sun rise and set earlier or later, respectively, just like a star would. Again, we partially compensate for this by setting our clocks to different time zones. If you travel north or south, the sun's daily motion is still the same as that of a star seen from your latitude. So at the equinoxes, for example, the sun still follows the celestial equator, while at the solstices, the sun follows a circle that lies 23.5° north (in June) or south (in December) of the celestial equator. 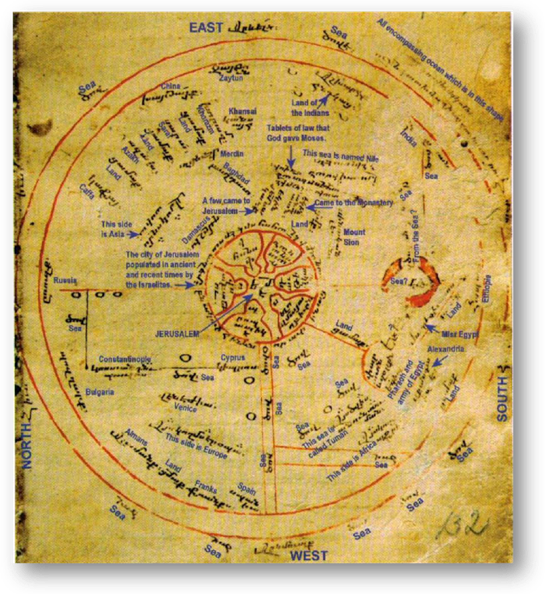 If you can visualize the paths of stars on these parts of the celestial sphere, then you can visualize the daily path of the sun. So, for example, as you travel northward from Utah, you'll see the noon sun get lower and lower in the southern sky. Eventually you'll come to a latitude where the noon sun at the December solstice lies on your southern horizon; this latitude, 23.5° below the North Pole, is called the Arctic Circle. North of the Arctic Circle there will be days around the December solstice when the sun never rises. What's a little less obvious is that at the Arctic Circle on the June solstice, the sun never sets—it merely grazes the northern horizon at midnight (see the illustration below). Still farther north there will be more and more days of darkness in winter and continuous sunlight in summer. At the North Pole, the sun is above the horizon for six straight months (March through September), spinning around in horizontal circles, reaching a maximum height of 23.5° above the horizon at the June solstice. As you travel southward in the northern hemisphere, the noon sun gets higher and higher. The first qualitative change occurs at 23.5° latitude, where the noon sun on the June solstice passes directly overhead. This latitude is called the Tropic of Cancer. Farther south, in the so-called tropics, the noon sun will appear in the northern sky for a period of time around the June solstice. At the equator, the noon sun is straight overhead on the equinoxes. And after you pass 23.5° south latitude (the Tropic of Capricorn), the noon sun is always in the north. 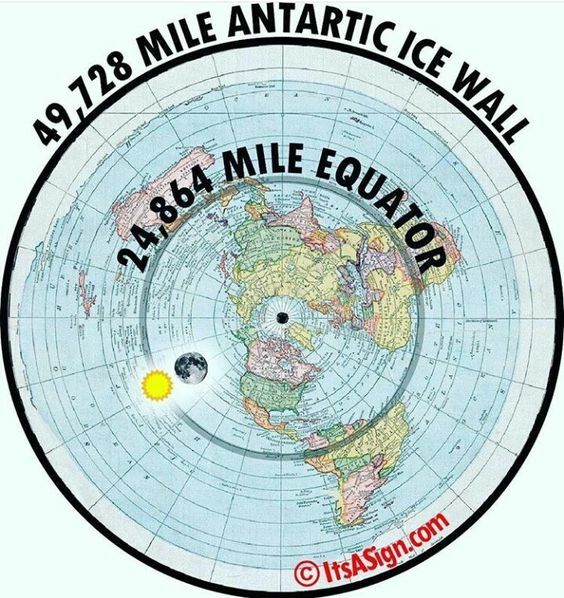 Much farther south is the Antarctic Circle, where the sun never quite rises on the June solstice and never quite sets on the December solstice. Researchers at the South Pole have continuous daylight from September through March, and continuous night (including twilight) from March through September. He is speaking about good old fashioned observations from the ground, looking up at the path of the sun: and he is describing what is being portrayed in the first video which I posted, and in the diagrams I posted in an attempt to clarify the point from the first video. Herein above, in the last paragraph, he is explaining these three different observations of the apparent path of the sun while going from the northern hemisphere, through the tropics, and down into the southern hemisphere. Traveling from the northern hemisphere down to the southern hemisphere the sun is first in the southern sky, (when you are in the northern hemisphere), then it is directly above in the equatorial regions, and lastly it is in the northern sky when you get far enough into the southern hemisphere. He is speaking about good old fashioned observations from the ground, looking up at the path of the sun: and he describing what is being portrayed in the first video which I posted, and in the diagrams I posted in an attempt to clarify the point from the first video. Herein above, in the last paragraph, he is explaining these three different observations of the apparent path of the sun while going from the northern hemisphere, through the tropics, and down into the southern hemisphere. Here is a diagram with the degrees and tilt. I would say we are at least on the same page here and that I am understanding the argument properly. I don't want to proceed unless we can agree on this, 100% is not necessary, just well enough will do. But do you agree on the physical observations of the paths of the sun? The question is how are these arcs proposed by globe earth validated? Ahhr! So do you believe in gravity? Or do you call it something else, or is it something completely different to gravity? Last edited by WatchmanOnTheWall; March 10th, 2018 at 11:01 AM. There's a better verse than that, that explains why everything is pulled towards the Earth. As a FE'er you should really know it. It would be nice then if you could just give a straight forward answer to why everything is pulled towards the Earth. Ahhr! So do you believe in gravity? Or do you call it something else, or is it something completely different to gravity. My remark, "Don't let gravity stop you", is called sarcasm, do you know what that means?